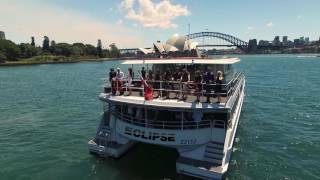 Spoil mum this Mothers Day on board the luxurious MV Eclipse! Enjoy a leisurely cruise around the harbour, live entertainment, gourmet lunch and high tea, and wine tasting with leading wine educator. Premium wine, beer and soft drinks included. And of course Chrysanthemum's for Mum!